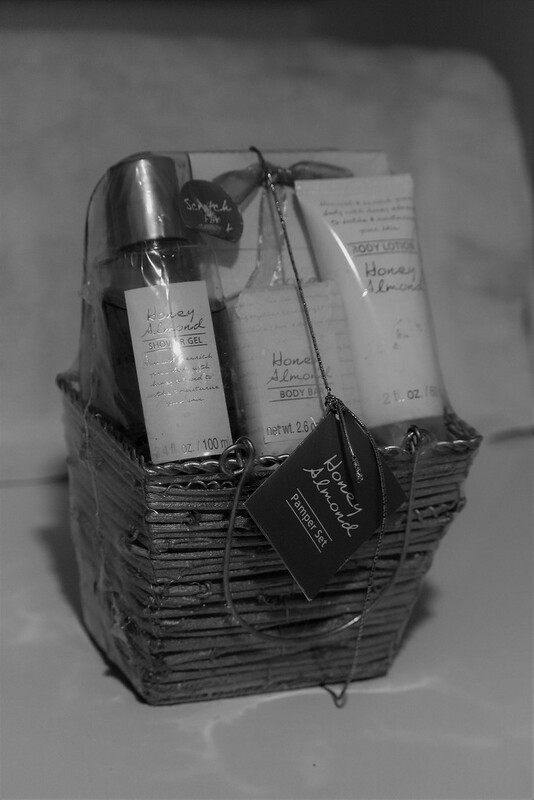 This basket contains various items you can pamper yourself with: honey almond shower gel, body lotion, bath soak and body bar. The name "honey almond" almost sounds like something to eat to me. However, the basket is advertised as containing a "bath set". Well I hope you are going to use this - and not keep it for years because it looks so nice! It looks nice but for me I guest it smells much to much.